As life and history ambled by, Hilal Ahmad Bhat watched it all up and close. For years his makeshift shop, where he sold newspapers, magazines, journals and music cassettes, was anchored at the mouth of the Lambert Lane on Srinagar’s happening Residency Road. Hilal later shifted to a nearby building to re-launch his business. Memories of watching life flow by and painful incidents of death and destruction and his interesting interactions with people have stayed with him. He shared some of these in a conversation with Aasif Sultan. Every now and then, life throws at you some interesting characters and incidents. My business is such that I interact mostly with literate people – men of letters, so to say. During the troubled years of ‘90s, people hotly sought newspapers. For the literate, news was more important than breakfast. The unlettered would sit on shop-fronts and ask someone to read the news for them. Journalists were greatly respected back then, as newspapers were the sole source of information for the masses. At that time Kashmir Times was everyone’s favourite among English dailies. Though printed from Jammu, KT would give a fair account of the happenings. Residency Road is a busy place always. At the same time, uncertainty hangs in the air. More so in those days. Over the decades, Residency Road has witnessed countless incidents of bomb blasts, firing, deaths, injuries and mayhem. They have now become a part and parcel of my life. I have internalized this situation. It doesn’t bother me anymore. No matter what happens, I have to open my shop in the morning. Be it hartal or curfew or stone pelting I have to manage to reach my place. I know what to do on 15 August and 26 January or on other days when civilian movement is disallowed by the authorities. Sometimes I show a press card to get through. Sometimes a smile at the men in uniform is enough. Anything can happen here any time. One moment, it will be all peaceful, the next it will be mayhem. What happened on 17 October 1992, when I had recently passed my 10th exams, remains engraved in my memory. A car bomb exploded outside the State Bank of India (SBI) on Residency Road. There were a number of causalities. People were running for safety and there was utter chaos. I was right there at the time of the explosion. I had some work at the bank. As soon as I heard the bang, I too ran for cover. In this melee, I saw a little girl alone, frightened and crying. Her mother was few meters away from her. She was trying to get to her daughter, but people were coming from all directions as they were fleeing the spot. As I reached there, I took the little girl in my arms and ran inside a shop and somehow pulled the shutter down. Her mother was crying outside. I could do nothing, but wait till calm was restored. There was a Sikh commandant from the BSF who was a regular customer at my shop. He was posted at Sopore in the ‘90s. He would visit my shop every now and then to buy newspapers and magazines. He would speak with me just like any other ordinary person—there were no airs of being a security officer. One fine morning, he came to my shop in his vehicle along with two youth of my age. But they didn’t step out of the vehicle. I noticed that one of the youth was trying to hide his face. I somehow sensed I knew him. But I wasn’t sure. He remained inside the vehicle, I couldn’t recognize him. The commandant called him to pay the bill. When he stepped out, lo, he was my next-door neighbour. I was startled to find him with the commandant. He was working as an informer for the forces. Since the commandant was friendly with me, I told him to let this boy go and not involve him in this thing. “He is just like my son,” the commandant replied as he lovingly patted the boy’s head. I feared for the boy’s life. So I spoke to him and told him to stop working as an informer. But he didn’t listen. A few days later, he was riddled with bullets in his mohalla in Batamaloo. That commandant again came over to my shop. I didn’t ask him about this boy. But he gave me a good but cold piece of advice. He told me, “Hilal, whenever any incident takes place here, run for cover. Don’t think that the Sardarji knows me and he will spare me, no. In dire situations we don’t spare anyone.” These words still echo in my mind. I recall on a curfew day in 1991, we were about to close our shop when we heard that the dheel or curfew relaxation period has been extended for two more hours. We had to close at 1pm, but we kept our shop open till 3pm. As we moved towards Batamaloo, we realized there was no extension in the dheel in that area and curfew had been re-imposed here two hours ago. The BSF troopers stopped us at Budshah Kadal and asked us where we were heading. They thought we were militants. We pleaded with them that we run a newspaper shop and we were not militants. They didn’t listen. We were detained at the local police station. Later our relatives came to free us. There is another incident I can’t get off my mind. The SBI manager of Residency Road branch was my father’s close friend. 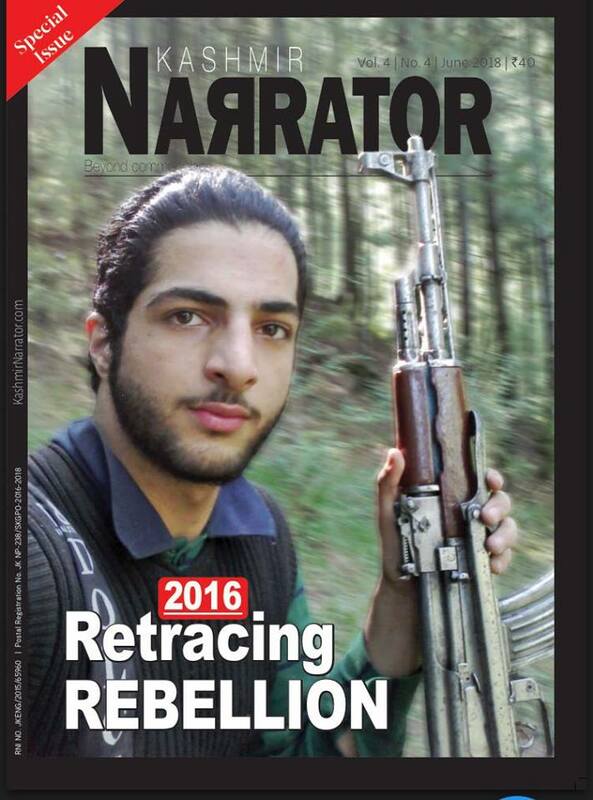 He was a lanky fellow with evident features of a non-Kashmiri. One day he was standing outside my shop when suddenly two gun wielding youth grabbed him and tried to put him in a vehicle. Since he was a tall fellow, the gunmen found it very difficult to bundle him in the vehicle. He was screaming for help and trying to free himself from their grasp. They fired some shots in air and everyone ran for cover. I somehow remained stationed there. But I didn’t know what to do. I didn’t help him in any way as I feared for my own life. The gunmen couldn’t get this man into their vehicle and later fled. He quickly ran into a nearby CRPF bunker. Later on, someone called me over to the bank. As I entered, the manager stood up and hugged me. “Khan sahib saved me,” he told his colleagues. I still don’t know how I saved his life. I didn’t tell the manager about it.